A future too small to foresee? How should the EPA Regulate Nanotechnology in Consumer Products? In 2013, the Ninth Circuit Court of Appeals, decided a case between the NRDC and the EPA. This was the first time a court has ruled on the role of nanotechnology in consumer products. The case may, or may not, shed light on what direction future courts will take when faced with questions regarding the registration of nanomaterials in consumer products. As the Court articulated in its decision, Swiss company HeiQ applied for registration of two of its nanosilver pesticides. The pesticides are composed of nanosilver, which are minute silver ions that are reduced to the nanoscale. HeiQ intended to apply the pesticides to textiles, including clothing and carpets, which they would then market as odor- or stain-reducing products. By reducing silver ions to the nanoscale, silver can be applied to different materials more readily. Silver kills bacteria and yeast, so that when the nanoparticles of silver react with these microbes on textiles, they ultimately reduce odors and stains. The challenge with nanosilver, however, is that its harmful effects are not entirely certain. Some suggest that the increased use of silver in consumer products will lead to antibacterial resistance, which could ultimately limit its use in healthcare. Others point to studies showing that the nanosilver applied to textiles can run off in the wash and end up in the water, potentially harming aquatic species., Furthermore, nanosilver particles are so small that they are believed to be able to permeate the skin. At such a small scale (a billionth of a meter), materials behave differently than they normally do. Therefore, it is especially difficult to gauge the potential harm nanosilver poses to humans and the environment. Some environmental groups and scientists express concern over a widespread use of nanomaterials, due to their unknown effects. After the EPA approved conditional registration of HeiQ’s nanosilver materials, the NRDC filed suit to rescind this registration. There are few requirements surrounding use and labeling of nanomaterials in consumer products, and consumers cannot easily determine which products contain these materials. The NRDC arguments center around the belief that an effective way to prevent future products containing nanomaterials from making it to the market, they argue, is to make sure they are not registered. The Court’s decision revolves around the EPA’s method of testing the hazard level of the pesticides. Following past practice, they tested for the most high-risk consumer, a toddler. (Although the NRDC disputed whether a toddler was truly more at risk than an infant, the Court dismissed this argument and deferred to EPA’s past practices.) There were many elements to the risk assessment test, but the piece the Court took issue with revolved around the “margin of exposure” test for one of the pesticides. By the EPA’s standards, “there is a risk concern requiring mitigation if the ‘margin of exposure’ to [the pesticide] in the short-or intermediate-term is less than or equal to 1,000.” The Court looked at the results of this part of the test and weighed them using the EPA’s standard. The results showed that the margin of exposure for surface-coated textiles for one of the pesticides was equal to 1,000, which, based on the EPA’s own test, implies that there is a risk concern. In allowing conditional registration of the pesticides, the EPA indicated that the pesticides passed its tests: they did not show a risk for concern. Yet, as the Court emphasizes, one of the pesticides did not pass the EPA’s own standards in the test for surface-coated textiles. Ultimately, the Court remands this particular issue to the lower court, but denies the NRDC’s other arguments. Throughout the opinion, the Court relies on the EPA’s processes and standards. NRDC presents other arguments against the registration of the pesticide, but the Court dismisses them, citing some precedent in the EPA’s tests that need not be changed. The only part of the EPA’s conditional registration of the pesticide that the Court took issue with was the EPA’s misapplication of its own standard in testing, an argument that the court raised sua sponte. It seems that the narrow holding in this case will be difficult to apply to future cases relating to nanomaterials (a fact that the dissent would agree with..) The Court only looked at what the EPA’s specific test was in these circumstances and whether the EPA followed it. Since the EPA had not followed its margin of exposure test perfectly, the Court was able to rule for NRDC on this small piece; however, the Court noted that the EPA could change the rule if it decided that it wanted to pursue a course that would conditionally allow the pesticides. The EPA ultimately worked with HeiQ to change the pesticide’s application slightly in order to comply with the Court’s ruling. The Court’s decision thus confirmed that the EPA’s process for registering pesticides containing nanomaterials was lawful. The NRDC issued a press release soon after the court made its decision. The press release gives the impression that the ruling was strongly in its favor and that this is a step in the right direction. It seems more likely that this is simply not a step backward. The Court did not require any changes to the EPA’s pesticide registration process but it also did not decide whether or not nanomaterials are too harmful to be on the market. It is unclear what will happen the next time a court will consider the presence of nanomaterials on the market. Should products containing materials whose effects are largely unknown be allowed on the U.S. market? At this point, it seems there is simply not enough concrete evidence of the harm of nanomaterials, coupled with a lack of widespread consumer concern to shed light on this question. More research, followed by increased publicity, into the potential effects of nanomaterials is needed. Natural Res. Def. Council v. U.S. E.P.A., 735 F.3d 873, 875 (9th Cir. 2013). Peter Hsiao & Andrew Stanley, Nanotechnology and the Environment: Big Things in Small Packages, 30 No. 5 Prac. Real Est. Law, 21 (2014), available at Westlaw 30 No. 5 PRACREL 21. Julie Deardorff, Some antibacterials come with worrisome silver lining, Chicago Tribune, Feb. 16, 2014, http://articles.chicagotribune.com/2014-02-16/health/ct-nanosilver-met-20140216_1_consumer-products-other-antibiotic-drugs-germs. Natural Res. Def. Council, 735 F.3d 873 at 875. See John C. Monica, Jr., Another Nano-Silver Sock Study, Nanotechnology Law Report, Nov 2, 2009, http://www.nanolawreport.com/2009/11/articles/another-nanosilver-sock-study/#ixzz3JZ9VjBmm (“The percentage of total silver emitted during one wash cycle for the fabrics varied between 1% and 45%.“) (citing L. Geranio et al., The Behavior of Silver Nanotextiles during Washing, Environ. Sci. Technol., Sept. 2009). See Brian Wallheimer, Popular nanoparticles causes toxicity in fish, study shows, Purdue University News Service, March 1, 2010, http://www.purdue.edu/newsroom/research/2010/100301SepulvedaNanosilver.html but see Helsingin yliopisto (University of Helsinki),Is nanosilver toxic?, ScienceDaily, 28 February 2013, http://www.sciencedaily.com/releases/2013/02/130228080338.htm (finding nanosilver may not be harmful to aquatic species). 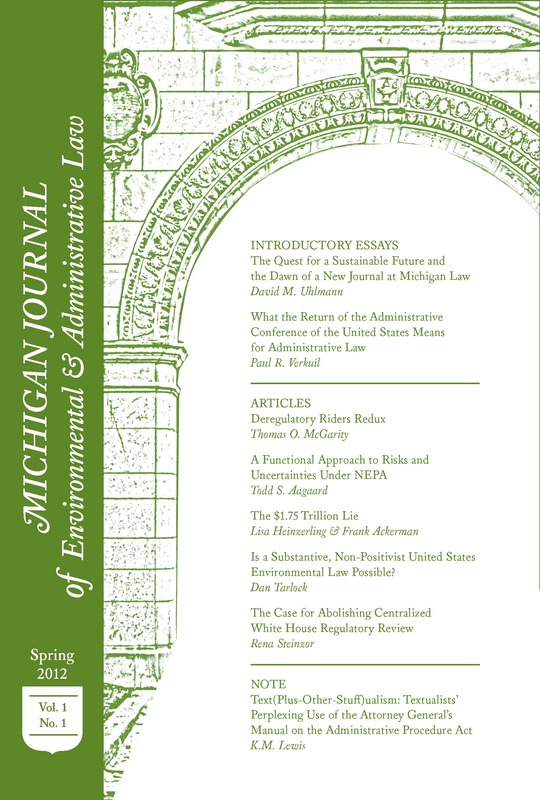 Michael T. Novak, Eric P. Gotting & Kathryn M. Biszko, Nrdc v. EPA: The Ninth Circuit Issues A Narrow Ruling on EPA’s Conditional Registration of A “Nano-Pesticide”, 45 No. 5 ABA Trends, 18 (2014), available at Westlaw 45 No. 5 ABATRENDS. See Court Ruling in NRDC’s Favor Should Limit Pesticide Nanosilver in Textiles, Natural Resources Defense Council, Nov. 7, 2013, http://www.nrdc.org/media/2013/131107.asp.